You think you have discerning taste? 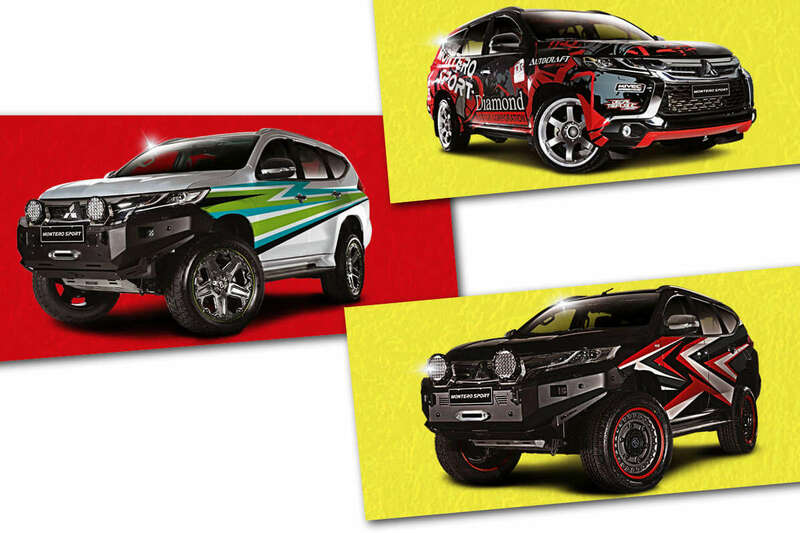 You think you tell which Montero Sport’s the best-looking one? Well, by simply casting your vote, you stand the chance to win a trip for two (2) to Japan. And vote for what you think is the best-dressed Montero Sport on display. Make sure you vote wisely, because you can only cast your ballot only once per outlet during the duration of the promo. If your name is drawn, you can win a 4-day/3-night trip to Japan inclusive of airfare, accommodations, and transfer/tour. Customers who vote and purchase a Montero Sport during the duration of the rattle can also win a fuel card worth either P 20,000 or P 75,000 (there are 5 winners each), too. The promo period for the Montero Sport Best Dressed Contest is from January 28 to February 28, 2019. Customer must visit any participating Metro Manila authorized Mitsubishi Motors Philippines showroom, fill up a quick ballot (survey), and drop the ballot at the designated drop box. Participating authorized Mitsubishi Motors Philippines dealerships: Citimotors, Inc. (Makati, Alabang, and Las Pinas); Diamond Motor Corporation (Quezon Ave, Marcos Hi-way, Greenhills, Valle Verde, and Fairview); Union Motor Corp. and Peak Motor Philippines, Inc. (Paco, Kalookan, Manila Bay, and Jose Abad Santos). Customer may visit several showrooms but can only vote once per outlet in the duration of raffle. Customers who will vote will have a chance to win a Trip for 2 to Japan. Valid for 6 months. This is a 4 Days and 3 Nights trip inclusive of economy airfare, accommodation and transfer/tour. Customers who will vote and purchase a Montero Sport during the contest period will be given 2 quick ballots. 1 ballot to be dropped for the Trip to Japan drop box and 1 ballot to be dropped for the fuel card drop box. Deadline for submission of entries is on February 28, 2019 at 5 PM. On March 14, 2019, Mitsubishi Motors Philippines Corporation (MMPC) will raffle off the following via manual draw: 1 (one) winner of Trip for 2 to Japan; 5 (five) winners of fuel card worth P 75,000; 5 (five) winners of fuel card worth P 20,000. It will be held at BCI’s office at 30th Tycoon Center, Pearl Drive, Ortigas Center, Pasig City at 4 PM, with the presence of a DTI representative. Raffle winners will be contacted by MMPC and will be asked to pick up their prize/s at the MMPC, Greenfield Auto Park Ave. Greenfield Automotive Park Special Economic Zone, Sta. Rosa Laguna. Winners will be notified via registered mail, a call, and an e-mail message. MMPC will also post the list of winners on their Facebook account. Winners must present the following when claiming their prizes: Customer’s copy of the other half of the ballot; Valid ID with photo (Government issued ID). Prizes should be claimed within 60 (sixty) days from receipt of notification. If a prize is unclaimed within the given time, it will be forfeited in favor of MMPC with prior approval of DTI. Prizes are non-transferrable and non-convertible in kind. Employees of MMPC, participating franchised MMPC dealers, BCI-eNav, and all their relatives up to the 2nd degree of affinity or consanguinity are disqualified from this promo.